For the "act 9" of their mobilization on Saturday, the "yellow vests" have called in particular to go down in the streets of Bordeaux, where more protesters were mobilized last week than in the capital. 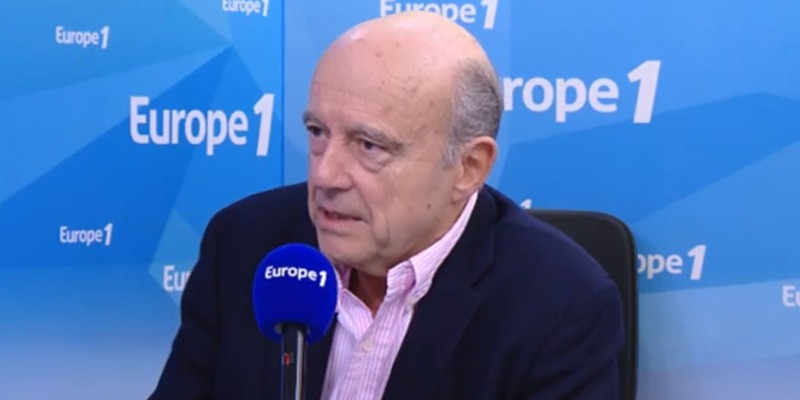 The mayor of the city, Alain Juppé, delivered his analysis to Europe 1. "A very large majority of people from outside the metropolis". "Why here? First because Bordeaux concentrates all this population from the whole of New Aquitaine - when you look at what is happening in the streets, there is not a majority of Bordeaux, c 'is a very large majority of people from outside the city, or even the department,' he explained. >> LIVE - "Yellow Vests": Before the "big national debate", place to "act 9"
In Bordeaux 17% of the population lives below the poverty line . "Second, there is this idea spread by some - which seems to me extremely dangerous because it is false - that the metropolis by its beauty, its wealth, its attractiveness would suffocate the territories that are around. The population growth of the Gironde outside the metropolis is equivalent to that of the metropolis.The population of the whole department is growing.In term of per capita income, the Gironde ranks in the 25 first departments of France, It's not a poor department, but in Bordeaux 17% of the population lives below the poverty line, so let's not simplify things. the current context, training people against each other will not move solutions forward. " he argued. Pope Francis: "The Easter light illuminates all the rulers of the Middle East"